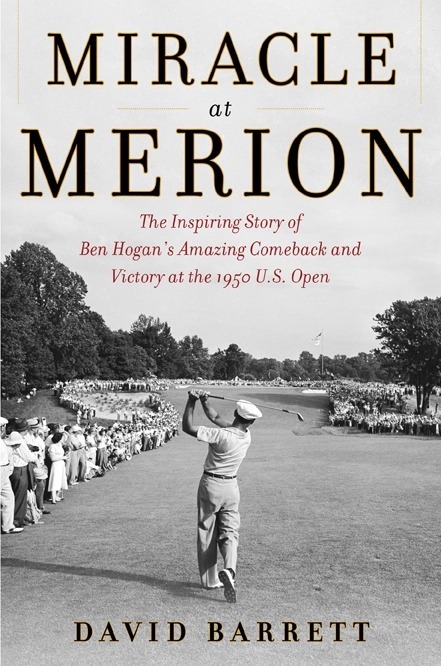 All golfers interested in the history of the game, especially fans of Ben Hogan, should want to add “Miracle at Merion” to their library. 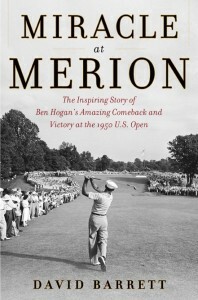 Writer David Barrett did extensive research to provide a stirring story of Hogan’s amazing recovery from a near-fatal collision with a bus 16 months earlier to win the 1950 U.S. Open in a playoff. Vascular surgery saved his life following a problem with blood clots, but it hampered circulation in his legs, making walking a problem. Of course, this also was back in the days where you had to play 36 holes on the final day of the national championship. This made it even more unlikely that Hogan would even be in contention. However, that’s exactly what happened. Limping at times, Hogan avoided a back nine collapse where he lost a three-stroke lead and then managed to save par from four feet on the final green to tie Lloyd Mangrum and George Fazio. Barrett’s research also revealed that it was a 1-iron that Hogan hit to the final green in regulation play that I can see every day in one of the most famous photos of all time that sits above my desk. Some questions arose when Hogan or his editor mistakenly called it a 2-iron in “Five Lessons: The Modern Fundamentals of Golf” Later, Hogan confirmed it was a 1-iron. As I recall, the 1-iron went missing after the tournament, but later was discovered by a golf club collector in North Carolina, who returned it to Hogan. It is now in the USGA Museum. The book wasn’t just limited to Hogan at all. There were plenty more of second tier stories about other players from the era, including the opening record round of 64 by Lee Mackey, a 26-year-old professional from Alabama, which I found interesting. I couldn’t lay down the book after starting to read it on a recent airplane ride to Raleigh Durham and actually finished it on the return. As a rules official, it also was interesting for several reasons. Hogan’s ball rolled four feet closer as he prepared to putt on the eighth green in the third round. By wisely not grounding his putter, he avoided a penalty. Magnum wasn’t as lucky in the the playoff. On the 16th green, Mangrum marked his ball on a 15-footer for par because it was in the line of Fazio. He replaced the ball and addressed the putt, but then backed off. He placed his putter in front of the ball, picked it up and blew off an insect. Then he made the putt to apparently stay just one back of Hogan. However, USGA official Ike Grainger then notified him on the next tee that he had suffered a two-stroke penalty for lifting the ball, which was allowed back then only when it interfered with or might assist another player. That rule was changed 10 years later. It was interesting that Mangrum had been on the other side of a penalty that resulted in him winning the 1946 U.S. Open. Byron Nelson’s caddie inadvertently kicked his ball going through the gallery ropes and the resulting one-stroke penalty forced Nelson into a playoff with Mangrum. Hogan left no doubt about the outcome by making a 50-footer for birdie on the 17th and finished with a one-under par 69, four ahead of Mangrum and six ahead of Fazio. “The accident may have humanized him, but he played the playoff with almost robatic precision,” wrote Barrett.